The following are detailed specifications about the Uttermost Spokes Aged Wall Clock. Transitional clockAntiqued Silver Champagne With Aged Black Details. Quartz Movement. The Uttermost Company has been 100% family owned for over 35 years. The company is proud to support many of the most prestigious home-furnishing and lighting retailers in the world. Uttermost's mission is simple, to make great home accessories at a reasonable price. Can't find what you're looking for? Give us a call at 1-800-653-6556 or send us an email at customerservice@destinationlighting.com and we'll help you find the product. With our 14 physical stores and close relationship with our manufacturers, we are able to provide accurate answers faster than other online retailers. 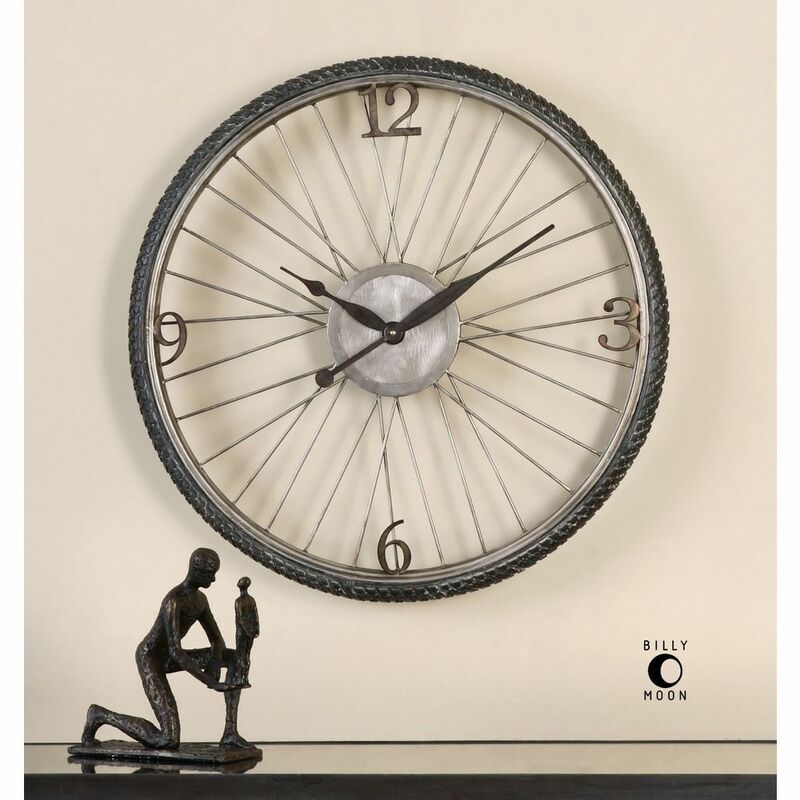 This Uttermost Spokes Aged Wall Clock is part of the Spokes Collection from Uttermost Lighting. 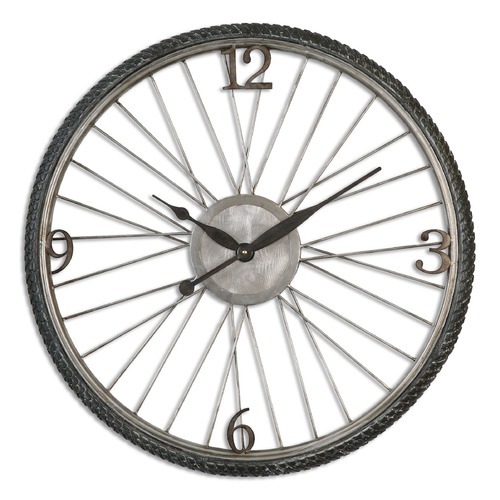 The following items are also part of the Spokes Collection.